The AP ICET 2019 Admit Card release date has been postponed by the Sri Venkateshwara University, Tirupati. The admit card for the AP ICET 2019 is to be released on April 19, 2019, as per the latest official notification. The examination is scheduled to be conducted on April 26, 2019, in two sessions. The AP ICET 2019 Admit Card release date has been postponed by the Sri Venkateshwara University, Tirupati. The admit card for the AP ICET 2019 is to be released on April 19, 2019, as per the latest official notification. The admit card will be released on the official website i.e. sche.ap.gov.in. The candidates who appeared for the exam can visit the official website and download the admit card from April 19, 2019. Earlier the admit card was to be released today i.e. 16, 2019. The examination is scheduled to be conducted on April 26, 2019, in two sessions. The first shift will be from 10.00 AM to 12.20 PM and the second shift will continue from 2.30 PM to 5.00 PM. Steps to download the admit card are given below. 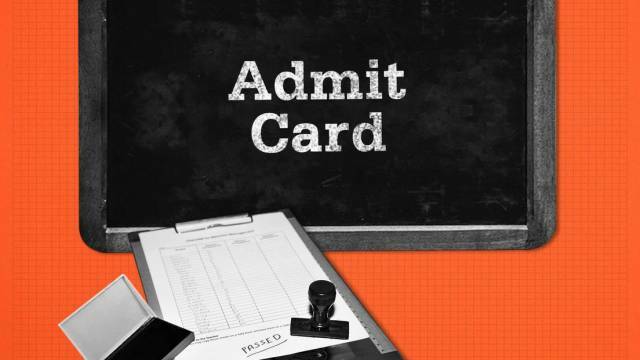 AP ICET 2019 Admit Card: How to Download? Step 1: Visit the official website- sche.ap.gov.in.